Singapore's diverse pool of talent, robust deep tech ecosystem, human centric society, and good connections with the region make it an attractive place to do business. More artificial intelligence opportunities await students, researchers and startups in Singapore. 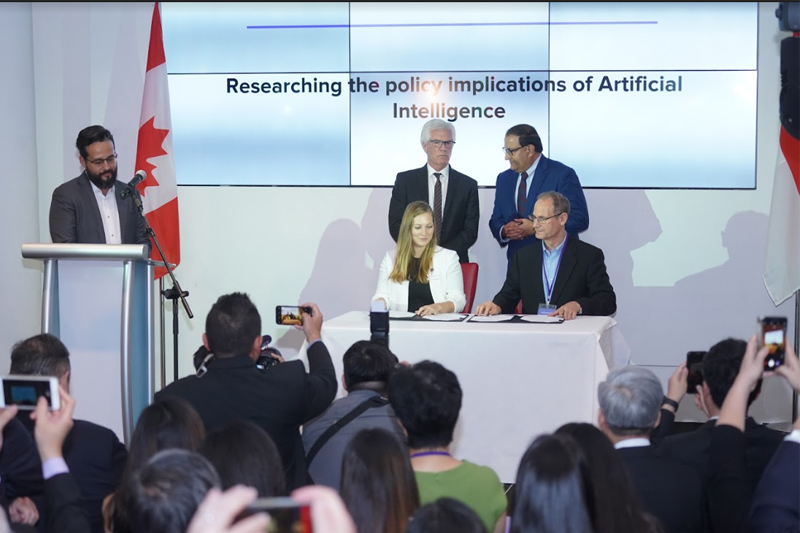 The recently inked Memorandum of Understanding (MoU) between Canadian based AI software product company, Element AI, with Singapore organisations GIC, SGInnovate and Singapore Management University hold much promise. The Canadian company delivers AI software products which augment decisions to make businesses safer, stronger, and more agile. The company’s Senior Vice President, Industry Solutions & Corporate Development, Mr Omar Dhalla, said Singapore was an important location for the company. Its diverse pool of talent, robust deep tech ecosystem, human centric society, and good connections with the region make it an attractive place to do business. Synergising research from the best minds from Canada and Singapore, the company is excited for what is to come. Through the partnerships and with the help of role-centric AI products, the company’s focus is on augmenting collective intelligence and transforming industry. Singapore’s sovereign wealth fund, GIC, for example, accelerates the use of innovative technologies and incubates new ideas through its innovation las. It frequently collaborates with business units, startups, research organisations and universities. The collaboration between Element AI and GIC focuses on the application of advanced machine learning techniques to challenging problems faced by large asset managers. The strategic partnership researches technology trends which can be implemented enterprise wide. Startups can look forward to the fruits of the inked partnership between Element AI and SGInnovate. The partners seek to expand the tech talent pool in Singapore and develop ASEAN’s startup ecosystem. Fostering AI-related startups which aid corporations and governments resolve a multitude of challenges will be a key priority. Startups can also look forward to a series of co-hosted events, as well as the opportunity to work alongside technical founders. These will help startups to deploy, improve and further scale AI solutions. This will be done, in part, through collaborations with the portfolio companies of SGInnovate as well as from the wider market. The third partnership is with SMU School of Law. Partners will embark on a research collaboration in relevant areas on the governance of AI. The university’s Vice Provost (Research), Dr Steven Miller, underscored that regulatory issues are becoming important to underpin the rapid developments in technology. Although the partnership is limited to its Law faculty, he believes the research outcomes will have an impact on every faculty on campus. Between the partners, information, tools and approaches will be shared to deliver issues and recommendation papers. SMU will see that the Singaporean and ASEAN aspects of research have transpired. 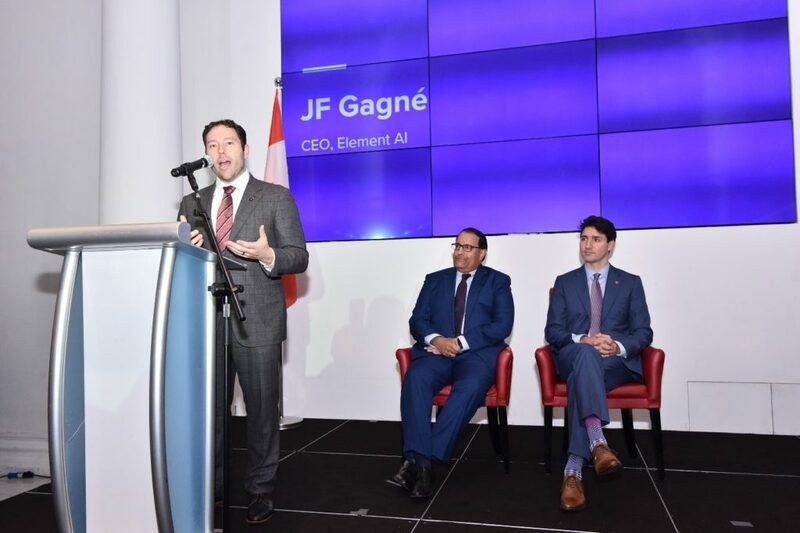 Element AI will focus on the North American aspects and leverage on its global researcher network. The MoU was attended by the Prime Minister of Canada, The Right Honourable Justin Trudeau, accompanied by Minister of International Trade Diversification Jim Carr. Singapore’s Minister for Communication and Information, Mr S Iswaran was also present at the signing. Both statesmen agreed that the embracing emerging technology was key to a successful future. However, strong, strategic and open diplomatic relations supported this function. The MoU signing took place during Prime Minister Trudeau’s visit to Singapore for the ASEAN Summit.